Front, Sarah Collins and Rita Bryson served countless guests during the Christmas open house at Lynn's Pickett Fence. Left, Joann Tate and Erica Adcock are all smiles as the crowd pours into Jenning's Jewelers. 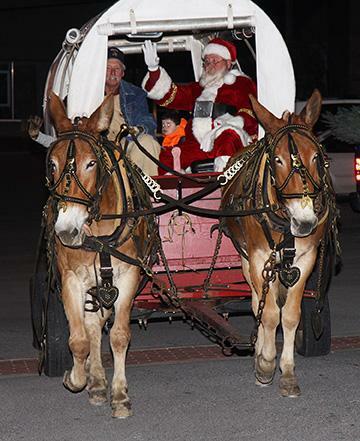 Above, Santa Claus makes his entrance via mule-power.